Keshav Palace i Pushkar, Indien: Reservér nu! 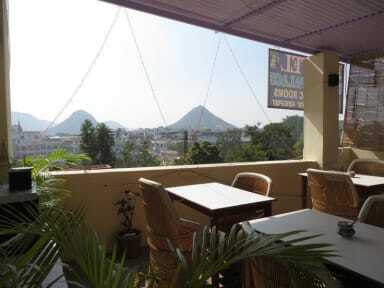 A quiet hotel located a short walk from the busy marketplace. Easy going, staffed by the friendly Trilok, and his father Poonam, a retired postmaster. The floors are all white marble, with a cypress lined havelli. Please enjoy your stay! 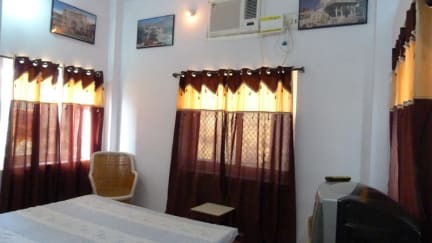 Hotel Keshav Palace is also near the pushkar lake close to market and five minute walking distance from marwar bus station. All the rooms are around a small green garden one can relax & eat on the terrace with a rooftop restaurant a place where you can see the best and have a good rest.